If you've read the heartwrenching book by M.L. Stedman, this haunting second trailer for The Light Between Oceans won't bring any surprises. Like the book, exactly like the book, it will bring plenty of tears. I thought the first trailer was a tear jerker. This one is even more so. 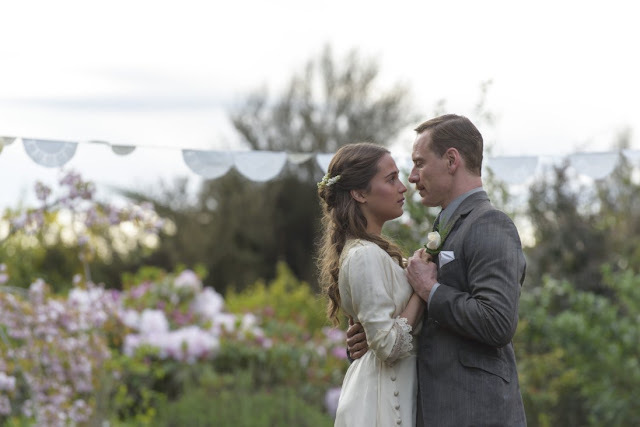 Real life couple, Alicia Vikander and Michael Fassbender, both extraordinary actors, bring on the heat of their chemistry as a childless couple living on an isolated island off the coast of Australia. Their love story, their intense need for each other, heightens the pathos when they find a baby, lost at sea. Their discovery changes everything. ‘After four harrowing years on the Western Front, Tom Sherbourne returns to Australia and takes a job as the lighthouse keeper on Janus Rock, nearly half a day’s journey from the coast. 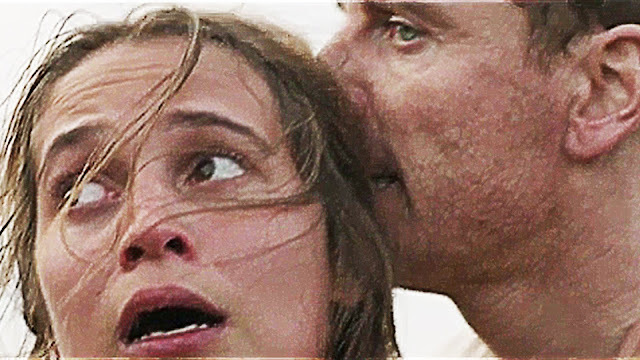 To this isolated island, where the supply boat comes once a season, Tom brings a young, bold, and loving wife, Isabel. Years later, after two miscarriages and one stillbirth, the grieving Isabel hears a baby’s cries on the wind. A boat has washed up onshore carrying a dead man and a living baby. Today's Slacker Sunday video is the trailer. Stop. Do you have tissues nearby? I'm serious. you will need tissues. Oh, definitely wrenching. Sigh. I'll need to read the book now. Come play along with Dreaming of France if you have more French goodies.